I’ve had a lifetime of problems with my teeth. Two days ago I went to my dentist and told him I just want him to remove all my teeth and for him to make me dentures. He told me it was a horrible idea and at my age, my face would collapse. I’m just so discouraged. Can you explain to me why it would make my face collapse? 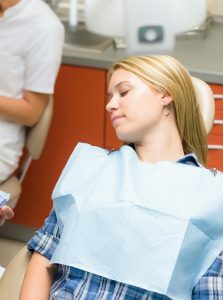 I understand how frustrating it can be to have teeth which constantly cause problems. But, let me assure you no matter how many problems your natural teeth are giving you, it will still be better than what you’ll face with dentures. What your dentist referred to is facial collapse. It’s a term dentists use to describe what happens after so many years of wearing dentures. Once your teeth are removed, recognizing you no longer have roots to support for your teeth, your body begins to reabsorb the minerals in your jawbone to use where they’re needed most. At some point, you’ve lost so much jaw bone that your face takes on a collapsed appearance, as you can see in the photo above. They have many other drawbacks too. Even the best fitting dentures reduce your chewing capacity by 50%. Plus they’re not anchored, which allows them to slip and slide, and even fall out. Fortunately, there are alternatives. Your first step will be to save as many teeth as can be saved. Some may just need crowns to protect them. 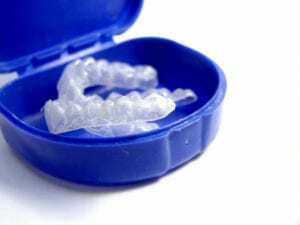 If you get porcelain crowns, a skilled dentist can make them look absolutely beautiful. Of course, you may have teeth which can’t be saved. In that case, I’d highly recommend dental implants. As you can see from the image above, a prosthetic root is implanted into your jawbone, then a dental crown is placed above it. They’re totally secure, look natural, and are like having your own natural (but healthy) teeth back. 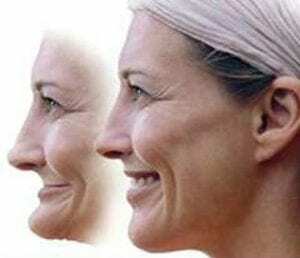 One of the biggest benefits of dental implants is the fact that they will prevent facial collapse. 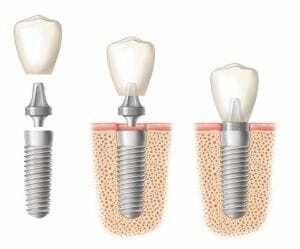 Even though your teeth were removed, because you have the prosthetic roots your body leaves the minerals there to help support the dental implant. It’s a much better option. 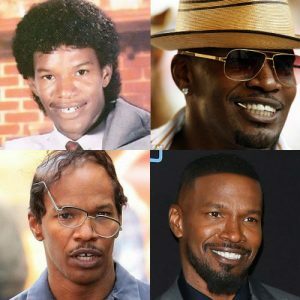 Will Dental Implants Give Me Teeth Like Jamie Foxx? I lost a couple of teeth in a car accident. I’ve been seriously depressed over this, but just read that Jamie Foxx had a tooth knocked out for a movie role. He looks like he has great teeth. If I got dental implants would my smile look that nice? I did some research to try to figure out what type of dental work he had done. I’ve pasted a picture below to show a progression with his teeth. In his early years, he had a tooth gap. The gap was closed at some point, but I think that was done with orthodontics. An interview revealed he had a tooth “chiseled” for his role in the soloist. It wasn’t clear whether that meant knocked out or just part of the tooth structure. If it was knocked out, he’d likely get a dental implant to replace it. If it was just chipped, he’d likely get a dental crown to make up for the lost structure. The final picture shows he’s had cosmetic work done. 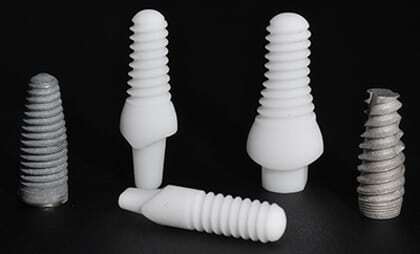 The beauty of the work hints to me of a combination of porcelain veneers and dental implants (or crowns). 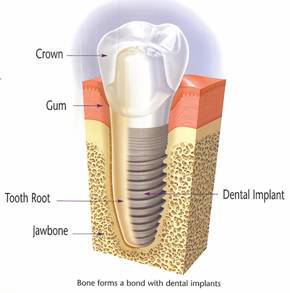 If you get a dental implant, it can be made to look beautiful with a good cosmetic dentist. It can look just like your natural teeth. If you’re wanting to improve your smile (and I’m not saying you need to) you can get a smile makeover, even with a dental implant. 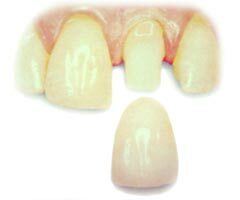 The veneers and implant can match exactly. You won’t need to be depressed. Accidents happen and you’ll have a gorgeous smile.